I'm making 3d-models for fursuits and hand puppets since 2014 and I print them on my 3d-printers (FlashForge Creator Dual, Anet A2 Plus). 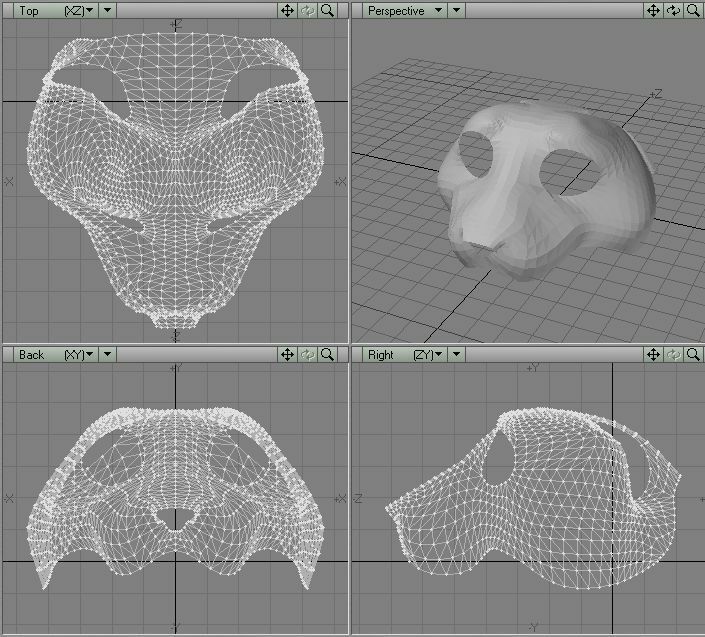 I have made 3d-models for head-bases, claws, noses, eyelids, footpads and teeth. I've tried several materials and settings to get the best printing results. It was a long learning-process. It's time to share my experiences. 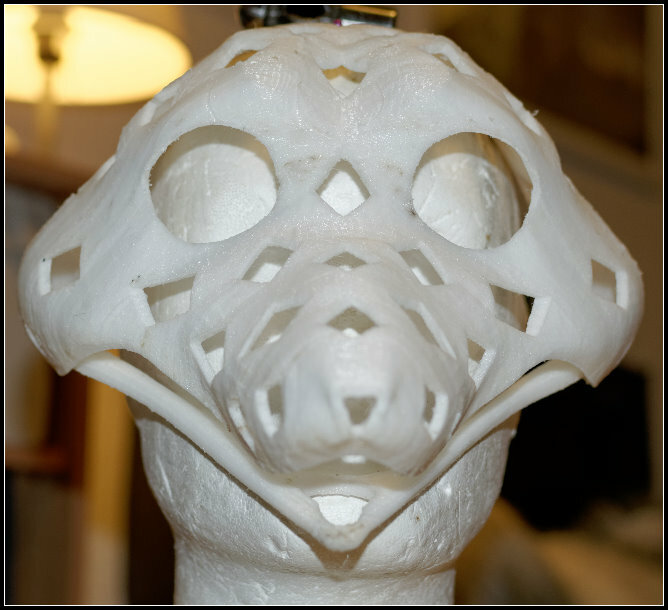 Initially, I'll have to say that 3D-printing for the construction of a single fursuit head is not faster, cheaper or simpler than any other construction method. If you want to make many items, it may be worth the costs. A big advantage of 3D-printing is that you can recreate a 3d-printed part again and again - this makes it much easier to try new things (without having the worry about breaking something that cannot be replaced) and it makes repairs very simple. I bought the 3d-printer to have more spare time - the printer can do the work while I do something else - so far that worked very well. I start to model a head-base as NURBS model (https://en.wikipedia.org/wiki/Non-uniform_rational_B-spline). Unlike polygon-models, it is much easier to change the shape of a NURBS-model without having to adjust a lot of points. 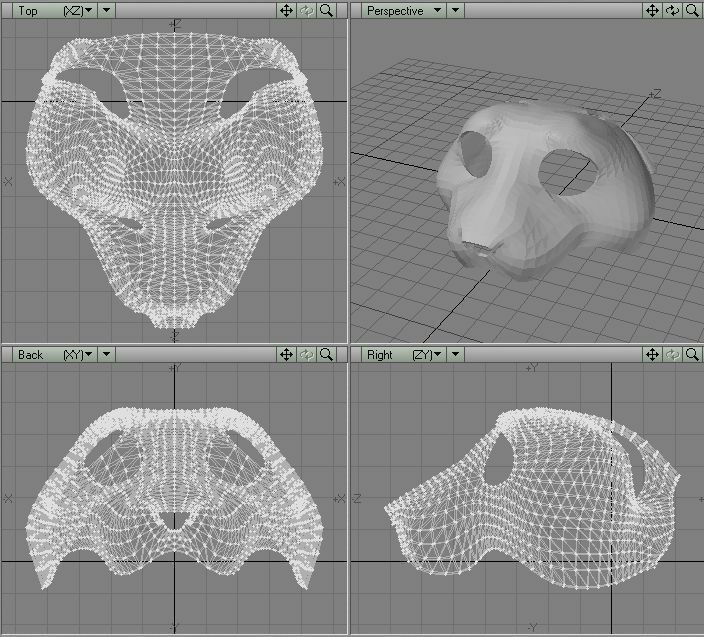 I could do the same with a polygon-model, but this saves me a lot of time - it requires software that can handle it. In the first step, only the outer surface is defined. When I'm satisfied with the surface the model is converted into a polygon model. 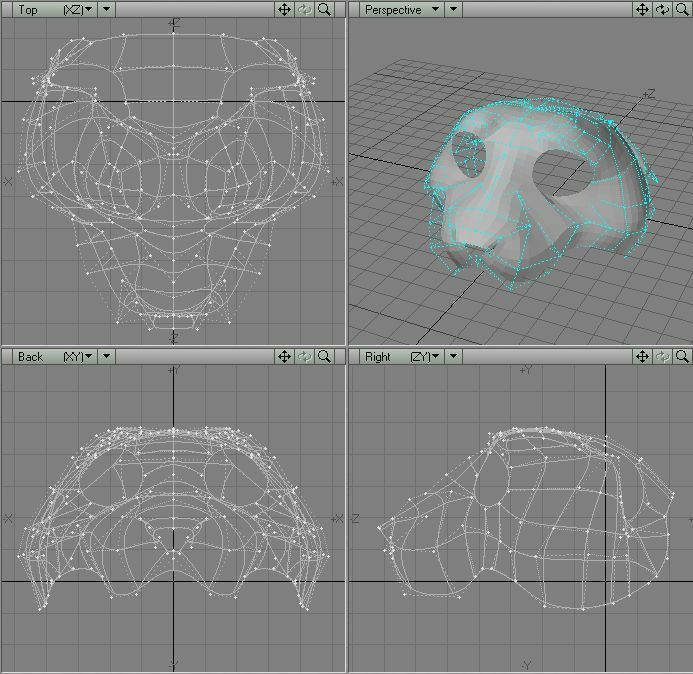 The resulting polygon-mesh is then made to a model with volume - a wall thickness of 2,5-4mm works for me (3mm is usually ideal). All polygons should now consist of three points and the surface should point outward. Only 2 polygons should meet at each edge. 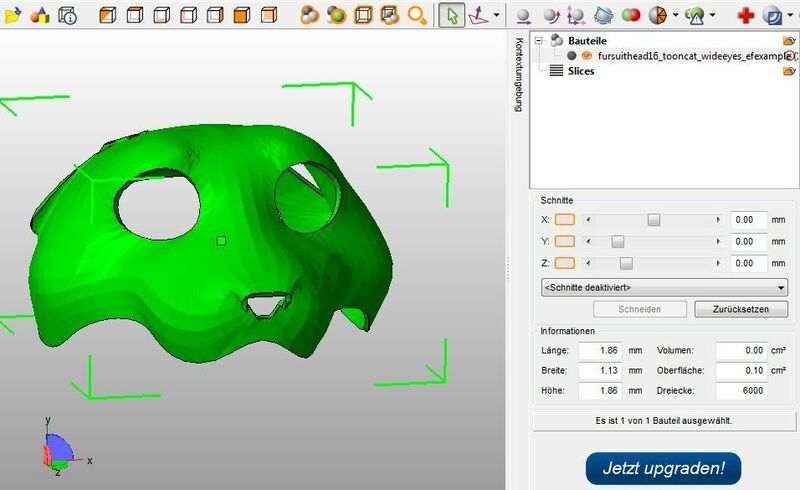 In NetFabb I check whether the model has flaws - and repair them if necessary. The model is then cut to have a surface that can stand on the print bed. 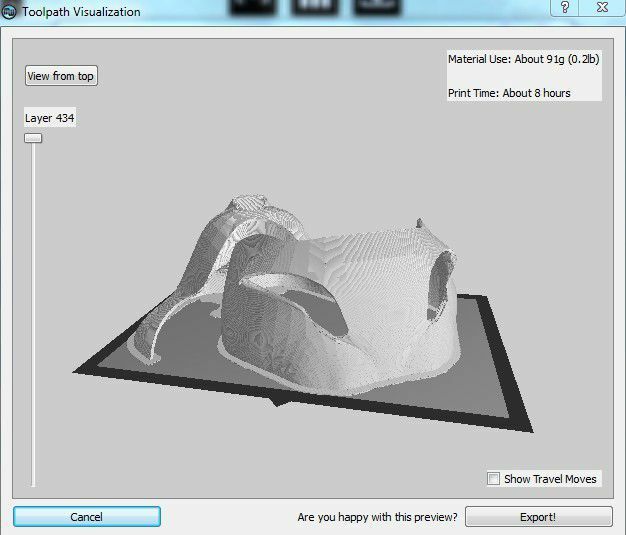 The models are aligned on the print bed in the 3D-printing software. For printing, the model is divided into layers that are printed from the bottom up. 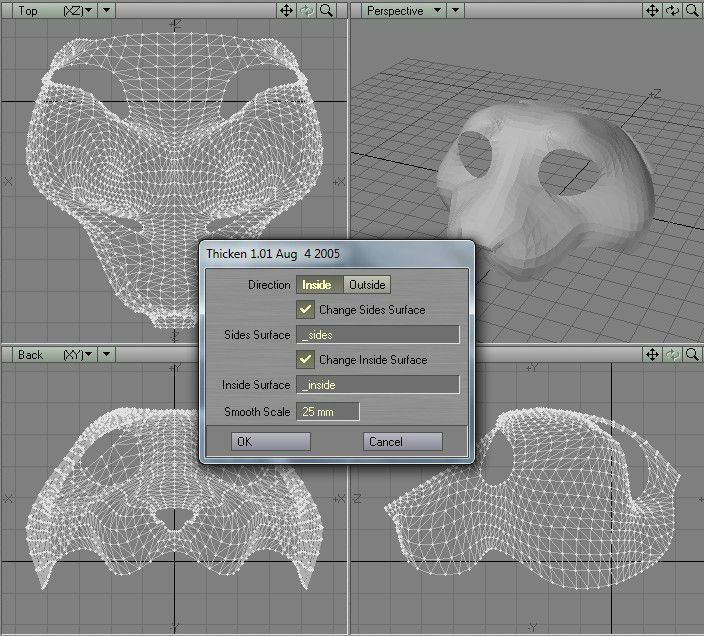 What software is used does not matter much - as long as it can produce a polygon-model in OBJ- or STL-format. 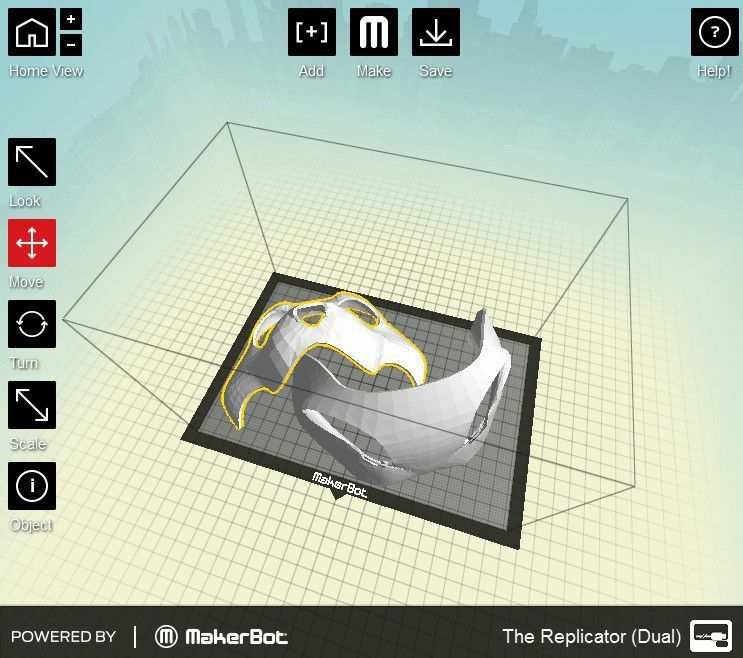 What materials can be used for 3D printing depends primarily on the 3d printer. Most important is the printing temperature and the stiffness of the filament. 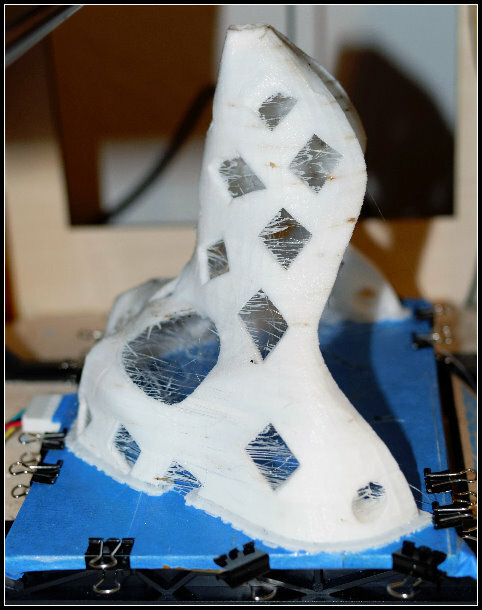 Some printers are built for PLA only and are not able to print at higher temperatures. Some printer cannot use flexible filament. Can be easily printed compared to ABS filament. Can be sanded, drilled, painted. Can be dissolved and glued with acetone. I prefer PLA and Nylon. Nylon for fursuit heads, PLA for noses, eyelids, etc. Nylon is more difficult to process than PLA and requires some preparation. I print both on M3 Scotch-Blue Painter's Tape. For Nylon I use a glue-stick on the blue tape and secure the tape with clamps on the print-bed. I print with raft and glue the first layer of the raft to the tape with superglue. The ends of the Nylon-print tend to shrink so much that they pull the tape from the print-bed – I make sure the ends are on the edge of the prind-bed – after the 10th layer I use a clip on the end of the raft to hold it on the print-bed. I can only recommend the dealer to change when problems occur frequently. Currently I buy PLA for 19.95€ per kilo and I am very happy with it. What materials do you want to use? What is the maximum resolution that you need? How big do you want to print? Do you want to assemble the 3d-printer? Where can you find 3d-models for printing? Is PLA stable enough for a fursuit head? A fursuit-head-base with 3mm wall thickness is very tough - similar to a resin head. I've stood on a head with 4mm wall thickness - 70kg did not break it. One head fell on the floor (from approx 1.70m height on hard stone floor) – it has not taken any damage. 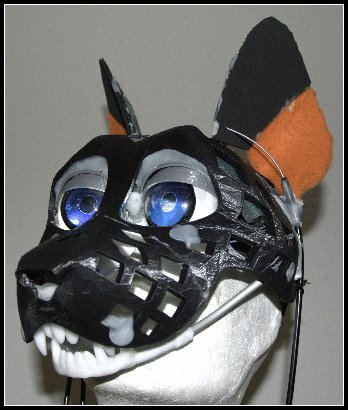 Why Nylon for a fursuit head? I wanted a fursuit head that I could check in with normal luggage. It should also be flexible and last a long time. Nylon meets these requirements. Most customer 3d-printers work by squeezing melted plastic filament through a thin nozzle (Fused Filament Fabrication). How do I design a model for 3d-printing? I keep reading this Page like a Book..WAGS Very Informative.. This page was loaded Apr 24th 2019, 1:49 am GMT.